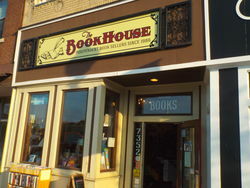 We found 30 independent new or used book stores near 63122 with open storefronts. If you are interested in visiting one of these stores, we highly advise that you contact them first by e-mail or phone to verify store hours. And, be sure to say "Biblio says hello!" when you stop by! Blackberry Patch Books specialized in Antique Books, especially collectible Children's Books. Also specializing in: Children's Books And Classics. 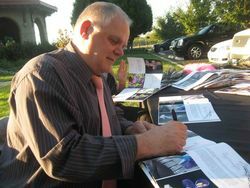 Gateway International Publishing was founded by Dan McCrillis. Dan McCrillis specializes in correlating the Bible with several educational topics showing relevance and application. Giving the intellectual community the benefit of the doubt, he shows that the Bible can handle the scrutiny of their scholastic research. Among his works are the New Acrostic Study Bible, Biblical Psychology, Biblical Astrology, Biblical Geology, and Biblical Egyptology. He makes his home in St. Louis Missouri and is the pastor of Gateway Baptist Church. We have always loved reading and collecting books and now are selling them online so others can enjoy them, too. We specialize in cookbooks, home and garden books, items of local/regional interest, and, of course, fiction. Please email us if you are looking for something special. Serenissima Music, Inc. is a music publisher and dealer specializing in classical music. We offer an outstanding selection of music scores from composers of all periods and for all performers from vocal and choral to symphonies and operas. ThoughtFullThings was started by educators that love books. 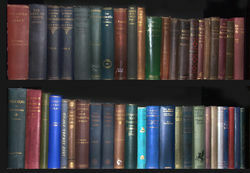 We buy and sell new and used books of quality. We pride ourselves on fast processing and shipping as well as secure packaging.